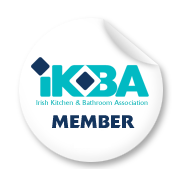 Kitchen Design Course in Dublin 2016 Our next Kitchen Design Course is on Saturday 6th February 2016 (10:00 – 4:30) at The Paramount Hotel, Temple Bar. Get details here. Our next kitchen design course will be held on Saturday February 23rd and Saturday March 2nd at the National College of Ireland (NCIRL) at the IFSC in Dublin. Click here for more course details.